The march takes place Saturday, March 24, 2018 all across the country. The latest Hamildrop “gladly joins the fight” as students, teachers, and supporters worldwide #MarchForOurLives. Every month until the end of 2018, Lin Manuel Miranda has pledged to release new Hamilton music as a part of his Hamilton Mixtape.The accreditations that the musicals Hamilton and Dear Evan Hansen have received over the past few years have reached unprecedented heights, from celebrity tributes to Tony award gold. Famous for writing songs such as “Almost Like Praying” for causes like Puerto Rico hurricane relief, Lin Manuel Miranda feat. 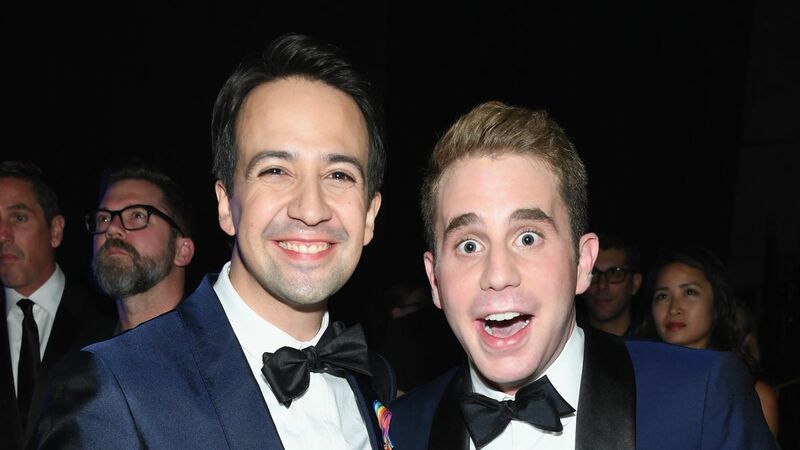 Dear Evan Hansen’s Ben Platt has released this latest #Hamildrop “Found/Tonight.” While it is another track on the growing Hamilton Mixtape, this brilliant mashup is the newest anthem to the #MarchForOurLives movement. This heartfelt mashup beats in the hearts of a generational revolution. “Tonight” from Hamilton speaks to the beginnings of the American Revolution, when Hamilton and his newest friends “raise a glass to freedom” and dream of the future of their nation by gathering more patriots to join the momentus revolution. These friends daydream of the stories their children will someday tell regarding their camaraderie and bravery as they take a stand against their government. “You Will Be Found” from Dear Evan Hansen, arguably one of the most touching songs in the show, is an anthem of hope for anyone who has ever felt lost, wanted to disappear or even suicidal. Socially awkward high school student Evan Hansen, played by Ben Platt, sings this speech after a student in his class commits suicide. It is recorded and reaches an unprecedented amount of people, which makes no-name Evan Hansen a national sensation overnight. Both songs speak immensely to the Parkland victims, victims of school shootings, children all over the nation and all those who will be participating in and supporting #MarchForOurLives. Broadway fans all over are exponentially buzzing on this famous force’s duet, but this is more than just a brilliantly executed track. We are living in a time where children are practicing their rights and standing up to their government officials. Everyone has their own opinions when it comes to gun laws and that’s not a political avenue I choose to insert my opinions in on either side of the argument. However, for those who believe that these children have no opinion over gun laws because they are not old enough to vote yet, The Daily Show’s Trevor Noah couldn’t have phrased this any better or bluntly, “...if kids are old enough to be shot, they’re old enough to have an opinion about being shot”. Download “Found/Tonight” on your favorite music streaming provider. All proceeds go to the #MarchForOurLives movement, with marches taking place around the country on Saturday, March 24, 2018. Join the movement here.